We deliver luxury car rentals to the mountains and have come up with a one-week itinerary for your stay in Courchevel. The Alps are one of the most desirable destinations when it comes to planning a ski holiday in the winter months. Courchevel has long held the title of being one of the favourite destinations of the discerning traveller in search of a luxury adventure holiday. As no luxury ski holiday would be complete without a luxury car rental, we have decided to create a week’s itinerary based on our experience, which will really set your pulses racing. Arrive into Geneva or Chambéry airport for your easiest transit to the resorts of Courchevel. Chambéry is about an hour and 15 minute drive from Courchevel, but is less well serviced – unless you are travelling by private jet – and Geneva is around a two hour drive from the resort. Alternatively, arrive in style by helicopter charter from Nice to Courchevel and avoid the extra drive. 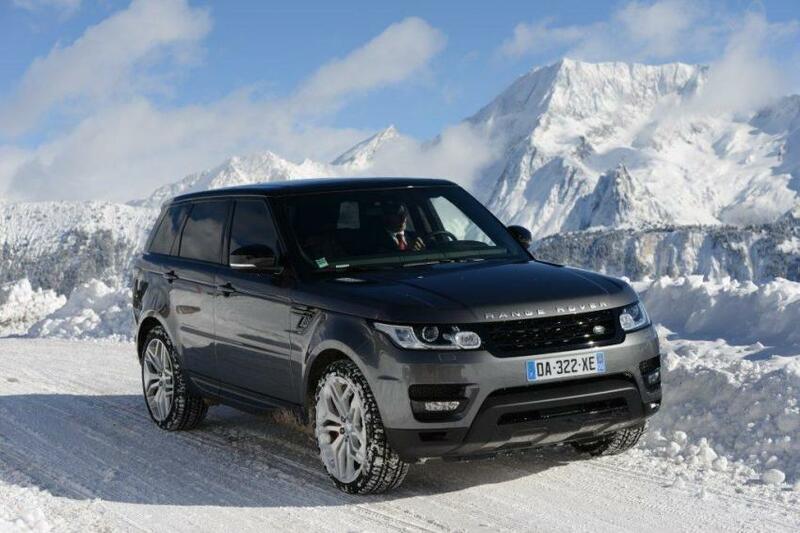 A luxury SUV rental in the French Alps will allow you to arrive at your accommodation in style. Wake up in the finest accommodation Courchevel 1850 has to offer. Perhaps the best choice is a chalet provided by the likes of Kaluma or Supertravel, for those looking for a luxurious home away from home. The slopes in Courchevel are voted among the best in France, and the north-facing aspect of the slopes means that snow is almost a certainty on the mountains. Better still, the valley has such a vast array of slopes that there is something for novices and experts alike. If you are looking for something that will give even more of an adrenaline rush than skiing itself, heli-skiing is the ideal activity for you. Despite the early start needed for most heli-skiing centres, it is truly a day worth doing. As the activity runs throughout the day, lunch is also provided in most circumstances and drop off back into the resort is usually around 4pm. Companies such as Val Heliski also allow you to watch a video of your day during your après ski in the resort. This naturally comes complete with a few drinks. For those with a few aching bones after the previous day’s (and night’s) activities, Courchevel 1850 has numerous luxury boutiques from the likes of Chanel and Hermes, which are just begging to be explored. There is also an extensive range of gourmet restaurants, such as two Michelin starred restaurant Chabichou and Le Palace des Neiges, both of which serve traditional Savoyard cuisine. As this is a ski holiday, it is time to head back onto the slopes. Many choose to stay in Courchevel itself, but due to its excellent location there is the rest of les Trois Vallées to discover. A quick drive in your luxury car rental over to some of the slopes in La Tania or Brides-les-Bains allows you to try some new pistes. A Range Rover rental is ideal to handle the winding roads and the conditions. Back to Courchevel for the evening and there are still plenty of new bars to discover. Le Mangeoire restaurant serves great food and becomes a sophisticated piano bar as the night moves on. The five star hotels also offer great menus for both food and drink. The final day of skiing, and it is time to head off-piste. Courchevel has many off-piste slopes, which many feel are the most challenging in the area. Its black runs are not known for being the most difficult for more advanced skiers so it is certainly a worthwhile challenge to go off-piste for the morning. The last day in the area can be well used enjoying another ‘off-piste’ activity, the local spa scene. The majority of hotels in the area offer spa and sauna treatments at an extra cost. If you would like someone to come directly to your accommodation, companies such as Destination Pamper will come to your accommodation to give massages, eye revive treatments and facials which will draw your holiday to an end in the most relaxing manner imaginable. Luxury Services & Rent can come and pick up your car from your accommodation or at the airport of your choice, ensuring your departure date is as stress free as the rest of your holiday was. You will leave the resort both relaxed and reinvigorated, and ready to do it all again next year, if not before.